Jules Watkins had a previous life as a professional news photographer, then managed to find a backdoor into a career in television. He worked his way up to become a director and producer, working on such well-known shows as Big Brother, My Sweet Sixteen, and Pimp My Ride. Although he earned a reasonable wage in TV, the income was sporadic and he struggled to build any assets. He began to explore the internet for options, including time spent listening to many of the podcasts in the archives here on Yaro.blog and my free report, The Blog Profits Blueprint. Thanks to his work studying resources available on the internet and hearing so many case studies of people who were making money online, Jules built up a strong theoretical framework for how to run an internet business. The problem was that it was all theory, no practice and thus no money. Finally Jules took the leap and started his first online projects. He enjoyed moderate success with a blog about the flip pocket camera selling cameras via the Amazon Associates affiliate program, and an online video show about parenting, however progress was slow and the income was far from enough to support him and his family. From there he went on to sell about $19,000 of his first training product, using a clever technique to create the product and find partners to promote it. Since then he has released three more training products and sold over $200,000 in the last two years, with sales still coming in daily. Make sure you listen all the way through this podcast interview. I made sure Jules listed each technology tool he uses to put together his training products and how exactly he is able to find buyers and create products so quickly. 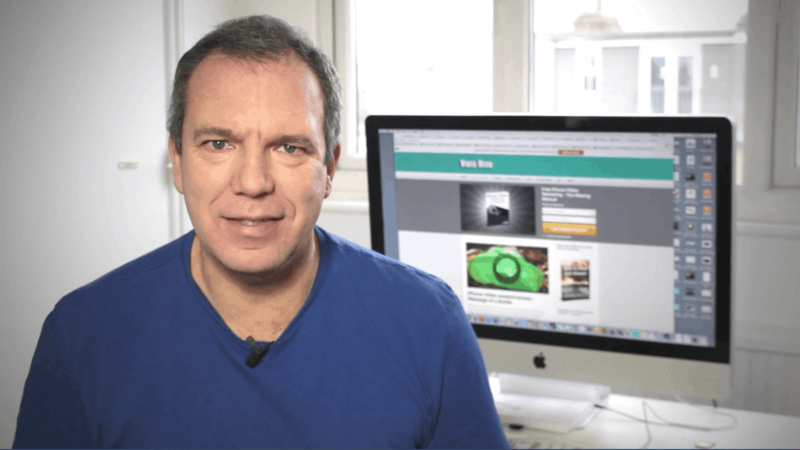 He also does something that I think is very unique in our industry – he sells products that are just one or two videos, rather than creating large courses with multiple modules. He still charges $97 for them, and people find them valuable, so there is definitely a lesson to learn in how Jules creates his products. We end the podcast by reviewing where Jules is at today, including what products he has and how he has managed to sell so many training products predominantly relying on other people’s traffic. As you will hear in the interview, Jules was a listener of this podcast, and recalls a time when he was skeptical about all these people I interview who claim they make money from the internet. I hope you find this interview motivating and get out there and create your own story, so one day I can interview you too. hey Yaro, wonderful interview with Jules dude. I love how you “drill” your guests to get to the nitty gritty of answers. 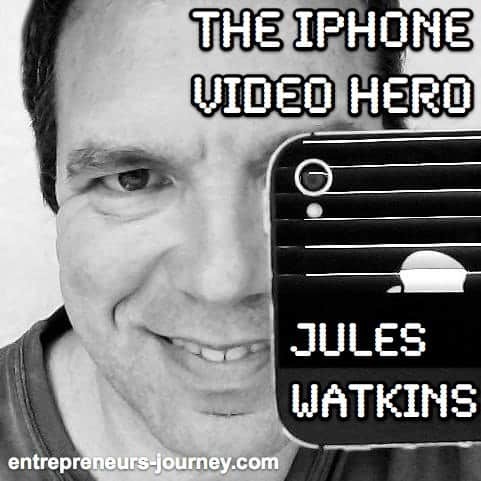 Am a big fan of Jules and his work owning all 3 of his products – iPhone Video Hero, Video Hero VIP (m/ship) and Screenflow Hero and can vouch for the high quality edutainment content in all 3 products. What I enjoy most about your interviews Yaro is the progression through the guests journey over a timeline. And the detail you go to is further than most interviewers are prepared to go. And Jules man – always great to hear you sharing your message with others like this. Its a pleasure to see your journey and the growth you’ve made in the short time I’ve been following you – as a customer and as a friend. Thanks so much for your kind feedback. I really enjoy the journey part just as much as what is working for someone now. The funny thing is I’ve had people complain they don’t like all the “boring” background details and just want to know what works today. I can understand that point of view, but I really do think you have to see the progression towards what is working today to really understand why it works. What are you working on now Kieran? Well as a Launch Manager and strategist I can tell you that its those “details”, numbers and information tidbits that tell you the full story of whats worked then, what hasn’t, and whats working now. When reverse engineering funnels and understanding cause and effect, its imperative to gather as much “intel” as possible to tell a full and complete story. You can then model that story (including all the boring bits) and hopefully come out with bigger and better results. p.s. 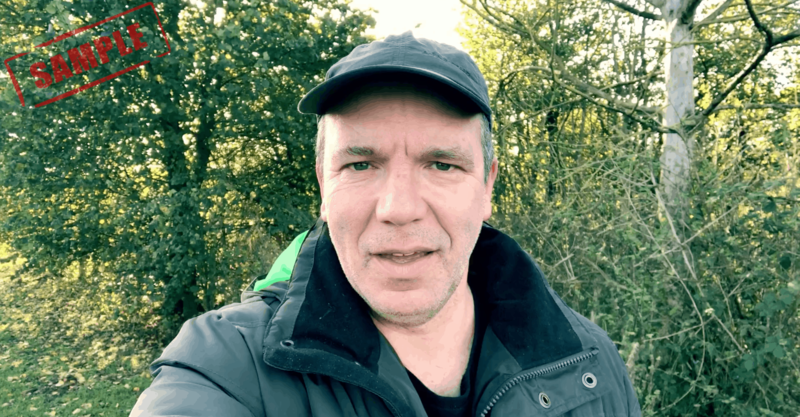 I still remember the brilliant interview you did with Andrew Warner several years back now, and how you drilled him for his journey – boring bits ‘n all – LOVED it !! Launch Managing – are you in a particular niche for launches? Gideon has been telling me about how well our mutual friend Michael Maidens has been doing as a launch consultant for the “documentaries” niche after his success with the food matters group. Once you get a few good launches under your belt and you find good companies to work with it seems like a pretty cool way to make a living. Ahh yes Andrew – and he certainly went on to big things in the interviews space didn’t he! Ah yes, had the good fortune of lunching with Michael when I visited G last year. Super good dude who loves his Crossfit. Have had significant success in the low-ticket space for Internet Marketing. Proud of what I’ve achieved, and 2014 is the next phase of growth for what I do, hence this mentorship program soon to be released. Video will play a big part this year, so learning from guys like Jules and Gideon will play a big part in this next phase of playing this IM game. Yaro another very inspirational story. However, these type of success stories are not that easy for most of us to accomplish. We need to know a lot and work a lot to have this kind of success, at a minimum. And a lot more things have to fall our way to be successful. Thanks for the Jules’ interesting story. Very true Steven. Jules had to work hard and be lucky as well – there is no other formula. It’s nice to hear about what can happen when it starts to work though, I think we need to hear as many different stories of success as possible. Hi Yaro, I totally agree that we need to hear different stories of succes as much as possible. I live in the Netherlands, and I have been trying to build up something online to create a better life for me and my family. Untill this moment I only made 73 bucks in adsense, started several projects that did not made any money, but cost a lot of time to set up. Most people would have given up at this time, but for some reason there is a little voice in me, that keeps telling me to keep going forward. That’s a very reasonable success ladder goal you are shooting for. I find making the first $1 is the hardest, so everything from there becomes easier, although it’s still challenging – it never really stops being challenging, you just build on your previous success so making greater returns is easier. Very enjoyable and interesting interview. One of my faves of all time. Thanks. thanks for the interview Yaro! 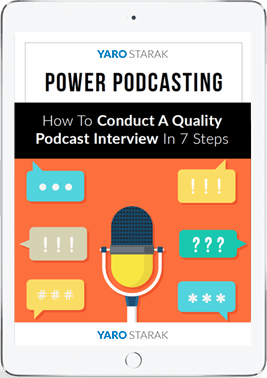 Like I alluded to, I can remember the day I discovered your site, grabbed your resources and listened to loads of podcasts back to back -they got me really fired up to do something, and to then be interviewed here myself is amazing! Love this interview, probably my favourite of yours so far. Also really like Jules product. Super relevant for us!